6I started creating my Mosaic murals 3 years ago. Since my home faces the Sandia Mountains I wanted to emulate the Sandia Crest north east of my house. I have a large stucco wall blocking my view of the mountains. The mural is a actually two separate images with the fountain placed between. On the west side of my house is another patio so I decided to recreate a version of Mount Taylor on the west mesa in Albuquerque. 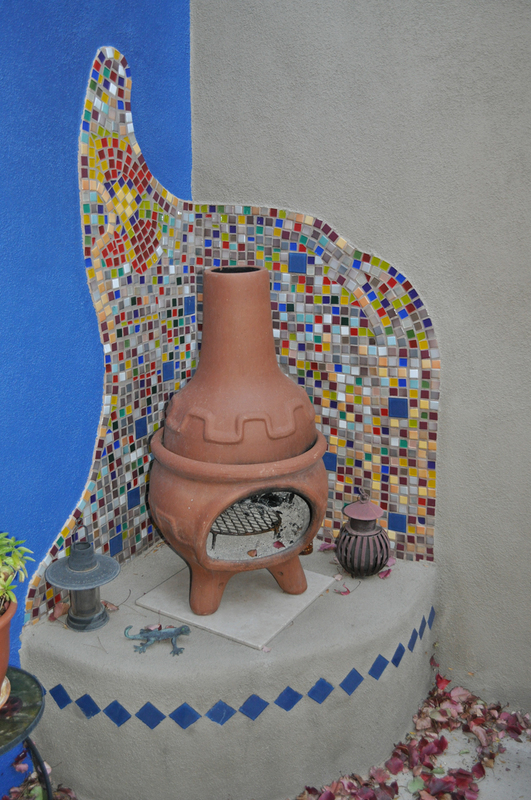 I built a banco for my chiminea and created a mosaic behind it on the wall.